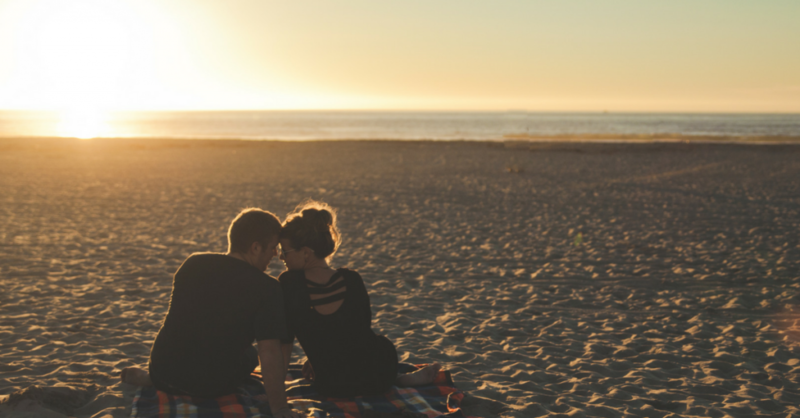 If you’re in a relationship, you’ll most likely have heard your significant other (SO) ask this dreaded question plenty of times, “What to do next weekend?” After all, good date ideas are few and far between. Sure, with many popular attractions like the Singapore Zoo and Universal Studios Singapore, it seems like Singapore is a never-ending city of fun. But what happens when you do exhaust that date ideas list of ‘Best places couples can go on a date’? With this article, we’ll bring you date ideas that will make you go, ‘Why didn’t I think of that before?” Here are 9 that will surely up you and your SO’s street cred. This place is a paradise for those who have a passion for both the arts and food. With free canvases, unlimited art supplies and a free drink courtesy of Arteastiq, this date idea can’t get any better. Arteastiq has a one-for-one deal on Monday for couples, so you should probably take advantage of that. It’s totally killing two birds with one stone because you can chase those Monday blues away. Trade away your teh-si and kaya toast for one day and enjoy some high tea. Escape the concrete jungle for a real jungle! If you’re a stranger to kayaking, you need not worry. At Adventures, all the equipment you need is provided. Take your pick of 3 different places: Pulua Ubin, the Mangroves or Ketam Island for your kayaking adventure. Try spotting Singapore’s wildlife while you’re at it and have a little friendly match; the one who spots the most fauna gets free dinner from the loser! If you’ve heard or even used the line, “I see stars in your eyes” then you’ll want to come here. At the Science Centre, you’ll be able to actually see stars. These sessions, called Night Sky Ramblings are free. The activity takes place every Friday from 7.45pm to 10pm. The Science Centre also offers free solar observations if that’s your kinda activity. Depending on the month you go, you might be able to see Jupiter, Mars, Saturn and Venus. So why not pop over on a Friday night and gaze at something besides your SO’s eyes for once? Yes, in Singapore. Where else were you thinking of? Though these dive spots are no Great Barrier Reefs, there is no shortage of beautiful sea creatures like the Fan-bellied Leatherjacket and the Ocellated Pipefish. At OrpheusDive, you can not only learn how to scuba dive but also plan day trips to Pulua Hantu (don’t worry, it’s not actually haunted). Impress your SO with your knowledge of marine life but don’t drown him/her with the information. It’s like cafe-hopping, but with islands. And yes, in Singapore too! Did you know that Singapore is actually part of an archipelago? Singapore is made up of 63 islands with both natural and artificial islands. Well-known islands include Sisters island, Kusu island and St Johns island. Some of these islands are accessible by boat and will make for a nice relaxing day trip. However, pack your own food as most of them don’t have food places. An excuse to have a nice romantic picnic! There are also lagoons around some of the islands where you and your date can take a dip and chill. If your date wants to you to bring them overseas, bring them here! I mean it is over the seas right? Not dinosaurs obviously. What were you thinking? You’ve heard of the famous goat farm and alligator farms but a turtle/tortoise museum? At this museum, you’ll be able to learn all about these ancient creatures and also, have a hand at feeding them. Look out for rare creatures like the matamata (No, not the police!) and the snake headed turtle. If there’s something stuck in your teeth, your date won’t be able to see it. Hah. Ever experienced a blackout and had to eat in the dark? Well, at Nox, the lights are turned off on purpose. Here at Nox, your food is served to you in the dark. Get ready for a totally different experience. Will you be able to differentiate your peaches from pears? The restaurant is located at Beach Road and is reservation only so make sure you call before you head over. Nothing beats feeling the wind while cycling down a slope. There’s also no other feeling like hanging out with your love. Combine the two together and you have a nice cycling date in one of Singapore’s most popular islands. You can even try the coconuts from the famous Pulua Ubin ah ma. Or head down to the quarry – a piece of Singapore’s past and check out the scenery at the same time! Take a break from hunting Pokémon and explore animals like boars and tide creatures at the nearby Chek Jawa. Wearing matching clothes isn’t the ‘hip’ thing anymore – smelling like each other is the new black! At Je taime, you’ll be able to blend all kinds of fragrance ingredients to create your very own scent. Both you and your partner will be required to take a personality quiz to determine the right kinds of scent for you. Or you could always go with your imagination and mix away! Feels kind of like a science experiment but with a ton of nice smelling chemicals, no? We know it’s difficult to plan a really good date so we’ve taken the initiative to help you out. You’ll thank us one day when everyone starts commenting on those Instagram photos with #relationshipgoals! Also, read 6 Romantic & Secluded High-Tea Spots That Your Date Will Surely Approve Of!